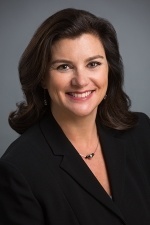 Nadine is a seasoned financial executive with over 25 years of experience providing expertise in financial modeling, business acquisitions, accounting, and all aspects of business ownership. She has worked in startup, small business, and corporate settings, in industries ranging from technology to consulting management and food services. After starting her career at Pricewaterhouse Coopers where she specialized in valuations, Nadine worked for an international e-commerce systems integration firm and a national communications provider. Accomplishments include managing the sales pipeline, designing/administering a sales commission plan, designing/implementing budgeting processes for a multi-million dollar international operation, and leading due diligence for a $40M acquisition. In 2005, she started her own company, Sous Kitchen, which was on the fastest growing company list for 2009 in Silicon Valley and San Francisco. Prior to joining CFO Selections, Nadine was the Director of Finance and Operations for the Kingfish Group where she oversaw all finance, accounting, HR, IT, and office management processes. 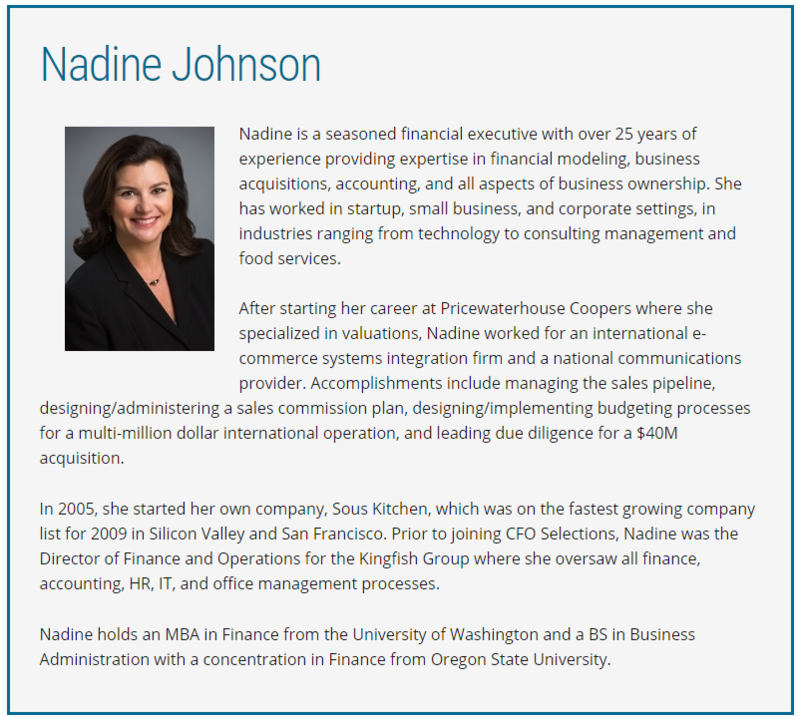 Nadine holds an MBA in Finance from the University of Washington and a BS in Business Administration with a concentration in Finance from Oregon State University.